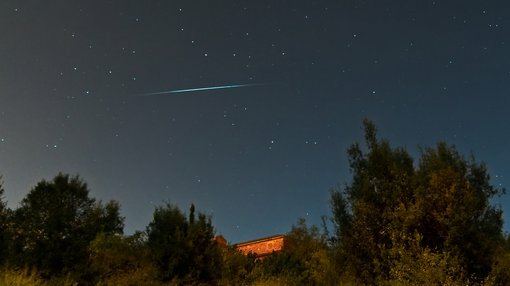 Meteoric Resources (ASX:MEI) has released an operational update for the three months to 31 March. The quarter also saw MEI appoint Andrew Tunks as Managing Director and Tony Cormack as Cobalt Project Manager. Further, the report includes the company’s cobalt exploration plans for the coming quarter, with drilling scheduled to commence in mid-2018. 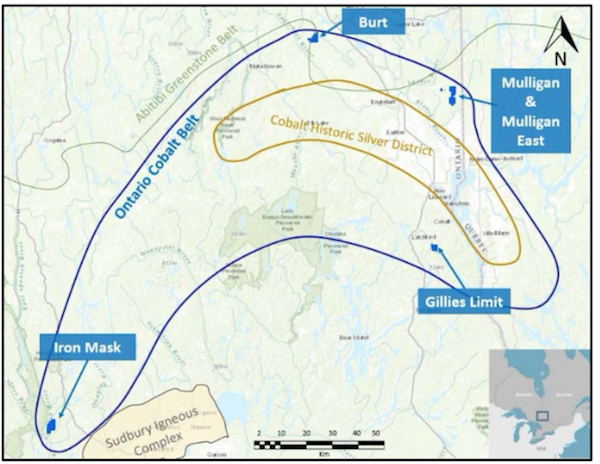 During the quarter MEI entered into a conditional agreement to acquire the Gillies Limit project which consists of 11 contiguous claim blocks within the prolific Cobalt Camp mining district. The project is located on the same geological trend, and within just 2.5 kilometres of, numerous historical high‐grade cobalt and silver mines including the Cobalt A‐53 mine, the Silver mining company mine, the Provincial mine and the Waldina silver mines shaft. Promisingly, recent exploration activities on the claims revealed visible cobalt minerals exposed throughout the property. 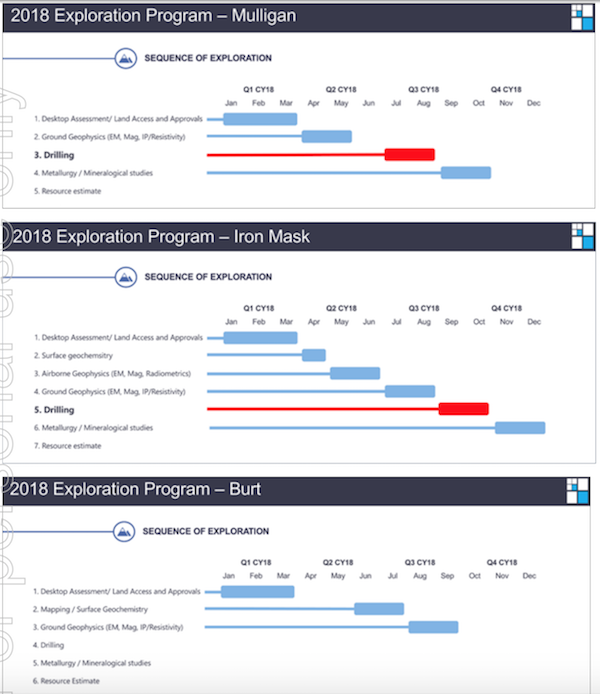 MEI will first resample the extensive historic workings with the aim of defining primary cobalt mineralisation, and then plans to fast-track its rigorous exploration approach with an extensive program of prospect scale mapping, surface sampling, geophysics along with resampling of the numerous outcrops and open pit operations. The consideration for the acquisition was an initial payment of C$50,000 and C$50,000 in MEI Shares, and three additional payments, on the 1st, 2nd and 3rd anniversaries of completion, of C$30,000 and C$30,000 in MEI Shares. In addition, the agreement stipulates introduction fees of C$5,000 and 1,000,000 MEI Shares. In the quarter, the company also staked highly prospective primary cobalt ground in Ontario with the Burt Cobalt Project. 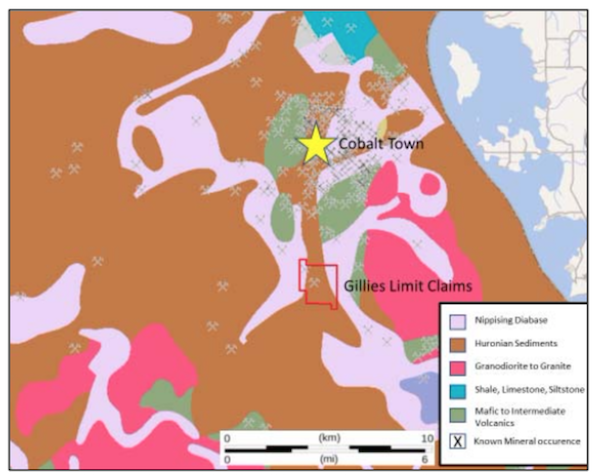 The project is located 7km directly along strike from Battery Minerals Resources’ Island 27 project, and hosts three major north-south trending faults identified as being the key hosts of primary cobalt mineralisation throughout the district. These cobalt fertile structures will be the focus for MEI’s exploration program of mapping, geochemistry, geophysics and drilling planned for Q2CY18. Rock samples taken by MEI during the quarter confirmed high‐grade cobalt grades at the Mulligan project, with one sample returning a result of 9.71% cobalt, 14.3 g/t gold and 0.3% nickel. This supports the prospectivity of the Mulligan area, which has been highlighted in several high-grade historical samples which returned results such as 12.6% cobalt, 1.03% nickel, 29.8 g/t gold, 39.7 g/t silver, 19% cobalt and 56.7 g/t gold. According to a 1952 report on Mulligan, eight tonnes of cobalt ore was shipped from the Mulligan site for mineral extraction, with an impressive recovery rate of 10% cobalt. MEI also undertook a maiden drilling program at its Midrim project during the March quarter, returning outstanding shallow high‐grade copper and nickel results. The next phase of the MEI’s strategy, according to its quarterly report, is to fast‐track a comprehensive exploration program across all its primary cobalt projects. The work program will include prospect scale mapping, geochemical surveys, airborne and ground based geophysical surveys along with diamond core drilling scheduled at the high priority Mulligan and Iron Mask projects.